Sometimes your kids room looks like a strong gust of wind blew through discarding everything onto the floor. With the fun and funky storage unit, you can bring some order back to their room. 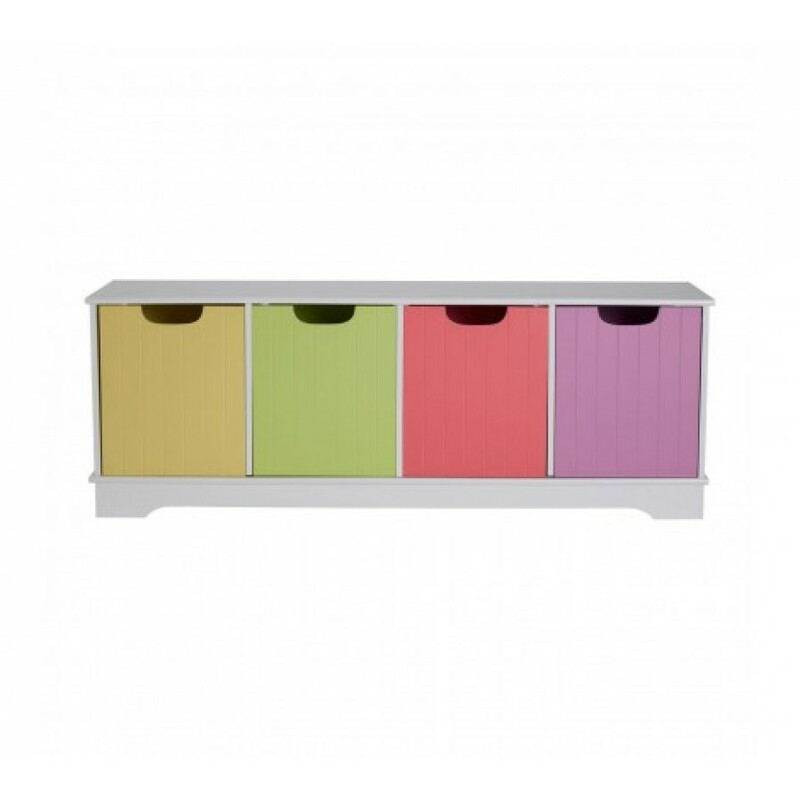 Made from durable and reliable MDF, the storage unit has four coloured boxes in purple, pink, green and yellow that sit in a crisp white case. The strong and sturdy design is perfect for storing all sorts of toys and with four boxes, you can delegate where things go for a more organised look. A great space saver, the unit will give your child more space to play in. The colours make it suitable for both boys and girls, now all you need to do is convince them that toys look better stored away neatly and not scattered on the floor.